Starting from 7 April 2018 back on the tables of our Plateau the culinary event "at the table with the dandelion of Conco", now this year in its 13rd Edition. The famous culinary event dedicated to dandelion will continue until may, with restaurants, bars and delis that will offer specific menus from appetizer to dessert, this spontaneous grass-based delicious. 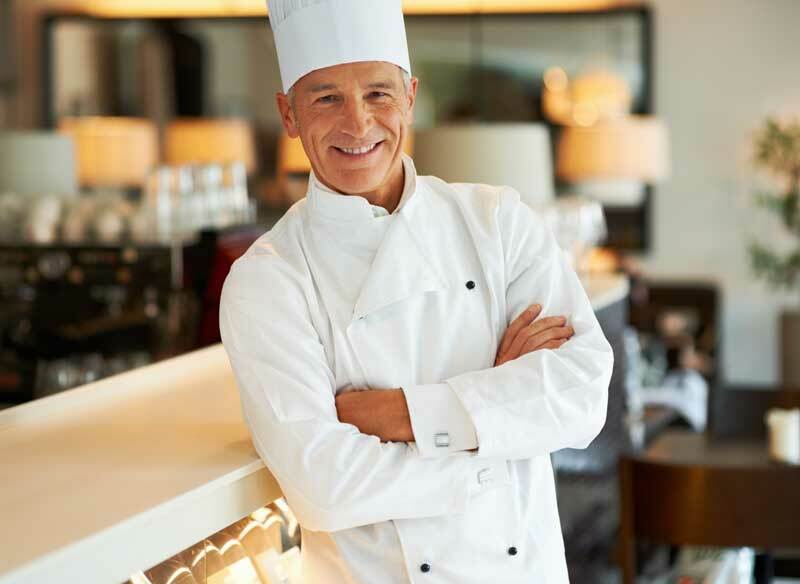 During the entire period the Conco restaurateurs will prepare delicious tasting menu that will be presented to the public in a series of evenings. A special occasion to appreciate this rich territory also from the gastronomic point of view! This year, within the show, organized several side events, such as cooking lessons, guided collecting Dandelion and traditional Gala dinner. TheAltopiano di Asiago has a strong tradition for the use of herbs in the kitchen and in the liqueur that is played with new combinations and flavours thanks to the many features and modes of operation that can have the Dandelion, Taraxacum officinalis for botanists. This plant, also called "grass of long life", has multiple healing virtues: in particular, it stimulates the flow of bile into the intestine, with beneficial effects on digestion of fats, gallstones and in cleaning the body. In Conco occurs a combination soil and climate that makes the dandelion (product De.Co.) aparticularly tender and delicate, almost sweet grass, suitable therefore to unusual uses, without forgetting that the buds can be stored as pickled capers, that flowers can be processed to obtain sweet delicate, that honey is great accompanied with cheese of the place. 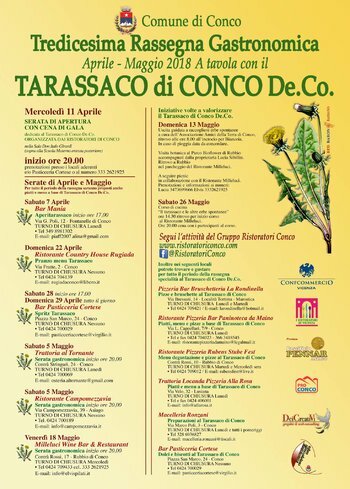 ❋ Saturday 5 November 2018--at TRATTORIA "to BEND"
❋ Saturday 5 June 2018-at RESTAURANT "CAMPOMEZZAVIA"
Cooking class "the dandelion and herbs"
In the following you can find and enjoy local specialities at Conco dandelion throughout the period of review. RISTORANTE PIZZERIA BAR "BY MAINO"